This is a selection of some of the comments and feedback from women who have read the book. I just wanted to drop you a line after finishing your book Reclaim Your Life. I now finally ‘get it’, about healing. I never, ever thought that endometriosis could be healed, not after what I have suffered (and from what I have read). But now I have read your insight into the subject of healing and the immune system, it is all starting to make sense and became more believable. 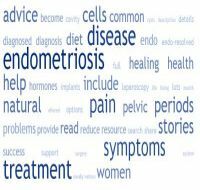 I was one of those cynics that did not believe in natural healing for endometriosis, because it has caused so much damage to my body. But I now appreciate what the body is able to do to heal itself. My endometriosis has reached stage 3, and I have lots of pain for most of the time. I have had 3 laparoscopies and spend a fortune on trying to get myself mended. Then it got to the stage where I was only hopeful of stopping all this agony, never mind hoping to get my body fixed. So right now I have decided to stop all that drug nonsense and am looking more into the natural route to get better. Thanks for putting all this great and understandable advice into one place. Thank you Carolyn for telling your story and for the wonderful advice in your book. I read the book in two days, as I could not put it down. There is some very gripping and compelling reading. You opened my eyes to various things about the immune system and healing that I never knew about. I have already started to follow some of the advice in your book, and can definitely feel an improvement. I have stopped using all the nasty and toxic toiletries and am following the recipes you gave for home-made beauty treatments, which are lovely by the way. I started to follow the endometriosis diet for a couple of weeks, but I fell of the wagon, and boy did I pay for it. My pain symptoms were dreadful once again. Of course the original improvement was gradual so I did not really notice the difference, but once I went wrong with my foods I definitely did notice the change then. My mom is going to help me financially with the cost of seeing a naturopath and I am hopeful that I can finally start to reverse the damage that has been done to my insides because of this awful disease. Your insight into natural healing and your explanation gives me lots of hope and encouragement and I thank you again for taking the time to put all this complex information together into a great and very readable book. I received the books! ! ! I was so happy. They are amazing..
Well this book is going to change my life. I felt like crying when I read your introduction, as you make the reader feel that they will be looked after just by reading your book! I haven't been diagnosed with endometriosis. But my gynecologist wanted to do a laparoscopy and would also laser and excise any that she came across. I ended up canceling the surgery at the advice of my cranial osteopath, as he told me that Chinese herbs and acupuncture can treat this condition. So I am going to do this, as well as follow the diet, and I am also going to learn meditation. I have decided to go ahead with just the laparoscopy, as I want to know for my own peace of mind whether this is in fact the condition that I have. So Carolyn, I don't know how to say thank you for what you have done, except I am so lucky to have found your website when I was going through such inner turmoil and you gave me some light. Thank you ! ! ! ! I am writing to tell you what an outstanding job you did on your book. Your personal story and the amount of Information that you provide is simply amazing. You are a breath of fresh air! ‘I was diagnosed with endometriosis over 5 years ago. I have had 2 laparoscopies with lots of surgery to clear the endometriosis, and tried various drug treatments, but the disease kept returning. After reading your book I decided not to continue with any more drug treatments - they always made me feel so awful. And what was the point, the endometriosis was still there. I changed my diet - started seeing improvement within 2 weeks, and after 2 months my endometriosis pain was almost gone, just a bit of pain with my period. I also started seeing a Naturopath about 6 months ago. I felt a bit worse at first as my Naturopath put me on a detox program to get rid of any residue in my system from all the drug treatments. But I am now seeing gradual improvements. My general health and stamina is improving as well as feeling so much better emotionally. ‘There is some excellent stuff in your book. Just the amazing insight you have included about the immune system has blown me away! I expect very few people will be aware just how intelligent and clever the immune system is - I never knew till now. Then there was the topic of healing - boy was I amazed with that one too. The way you have backed this up with scientific research makes for good thrilling reading. I have had endometriosis for about 4 years now and have read many books on the subject. Some were quite good ( good for reference purposes ), some have been average, and others have just gone over my head - especially those too full of medical jargon. Your book, Reclaim Your Life is the first one I have read, which in my opinion is up to date, accurate, practical, very supportive, and not too biased - or if it was in places, at least it was honest! !